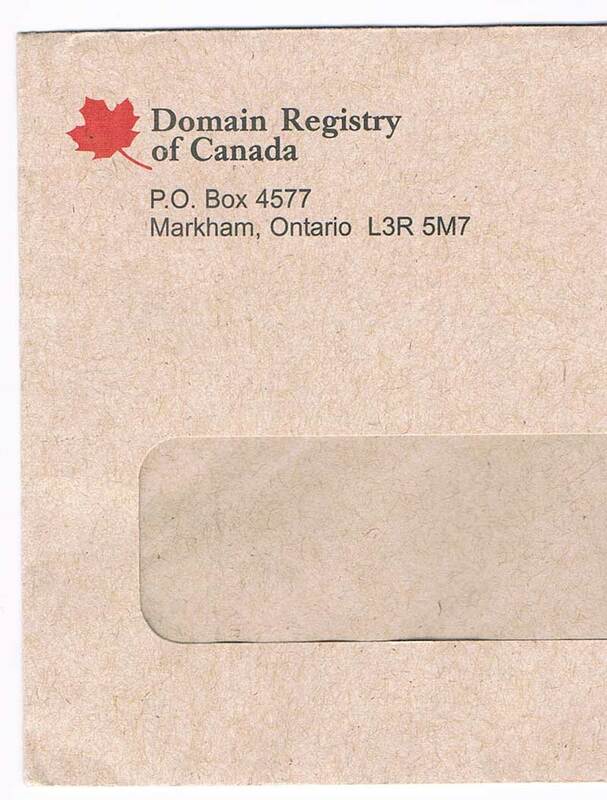 Beware of unsolicited notices that arrive by mail from Domain Registry of Canada (DROC.ca). 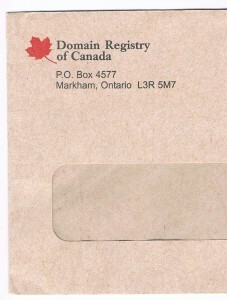 The notice comes in an envelope that looks somewhat like an official Canadian Government letter, with a red maple leaf. Inside, it looks like an invoice for renewing your domain, but in fact it is an order form to transfer your domain registration to DROC. Even though the letter says clearly that “THIS IS A SOLICITATION … AND NOT A BILL, INVOICE OR STATEMENT OF ACCOUNT DUE”, they are counting on people not reading the details and unwittingly transferring their registration. The back of the notice has many paragraphs of unusually small print concerning legal matters. In fact, I’ve never seen such small print! 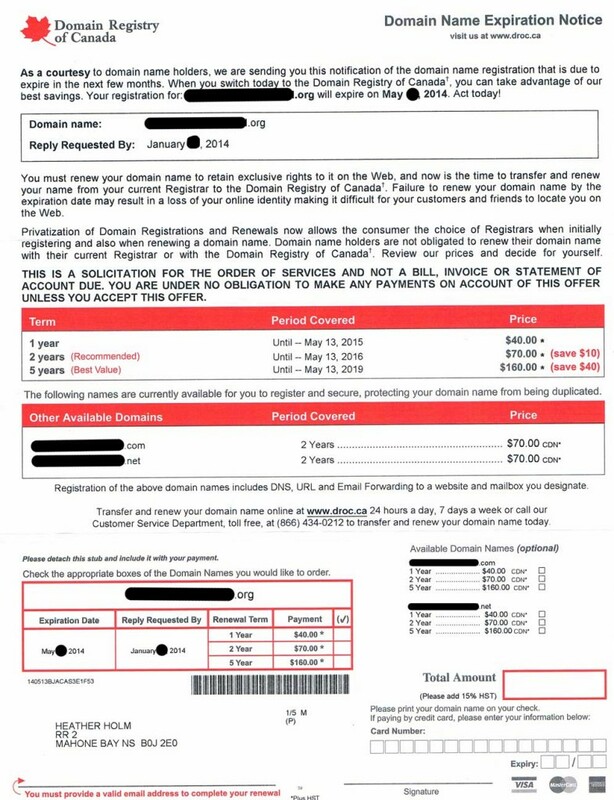 DROC’s prices ($40/year) are much higher than other registrars charge for domain registration and renewal. Annual renewals can add up to a very secure business model. This company has engaged in even more egregious scams in the past, and have been reprimanded. In my experience, registrars will contact you by email, not letter mail, to advise of renewals and expired credit cards. So if you get one of these, just toss it directly in the recycle bin. If you’re a client of mine, you can contact me with any questions about solicitations like this.